Glade Creek drops through a snowy hollow below the Glade Creek Gristmill at Babcock State Park. 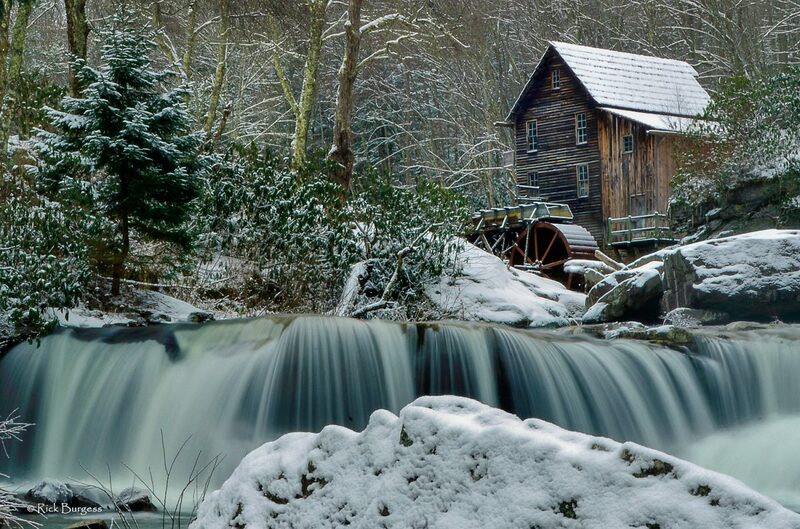 Winter in West Virginia may be more varied than in any other eastern U.S. state: Its northern panhandle suffers the brunt of lake-effect snows, while its Potomac lowlands and sheltered southern valleys witness only a few blanketing snows per season. Rising to more than 4,000 feet above sea level, its Allegheny Mountains are practically Canadian in climate and may be beset by blinding squalls long into spring. Photographer Rick Burgess has been wandering his home state of West Virginia since the 1970s, capturing its essence through his camera’s lens, revealing a magical land without the use of digital enhancement. 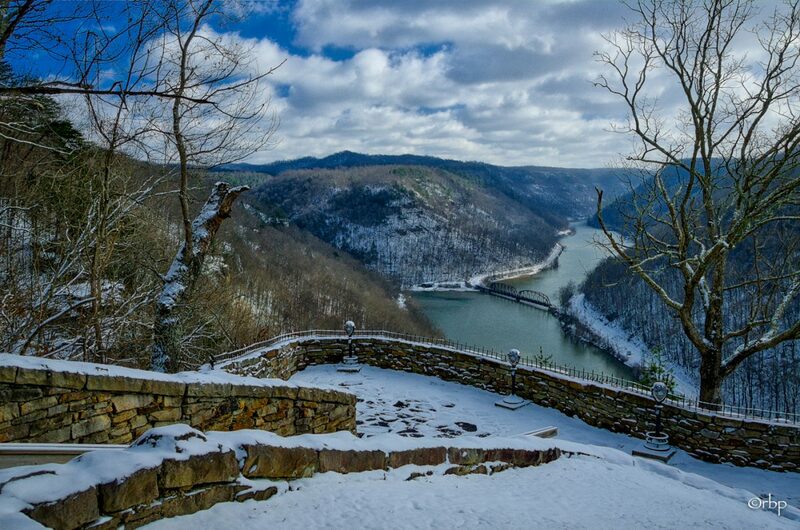 We hope you enjoy the following tour of winter in West Virginia through the wizardry of Burgess’s eye. 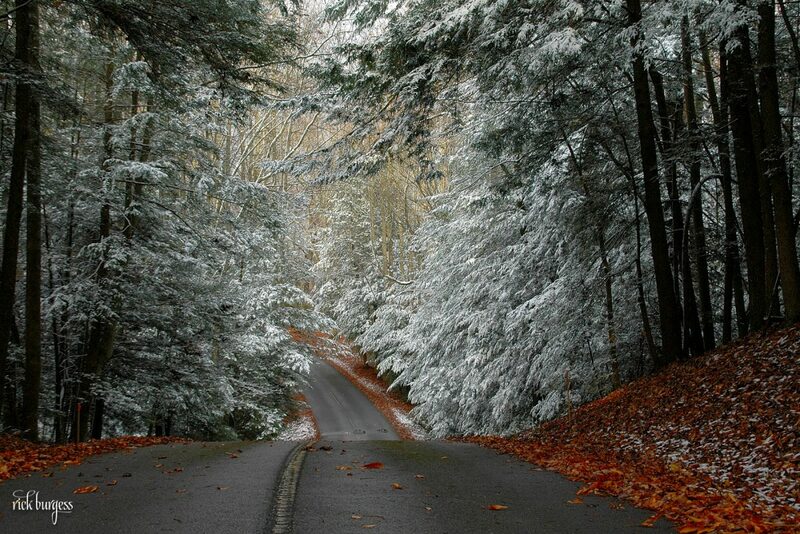 An early snow clings to hemlock on Turkey Spur Road at Grandview in Raleigh County. 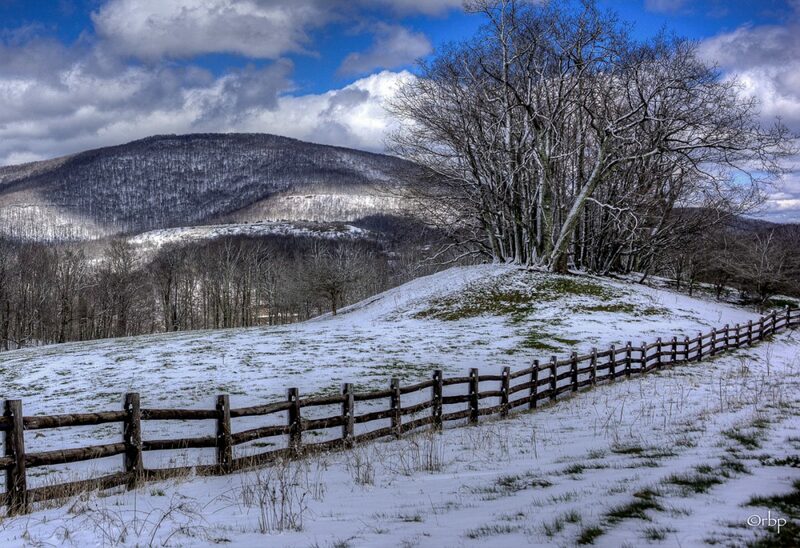 Spring snow lingers on the Seneca Pass on the Eastern Continental Divide at 3,300 feet above sea level. 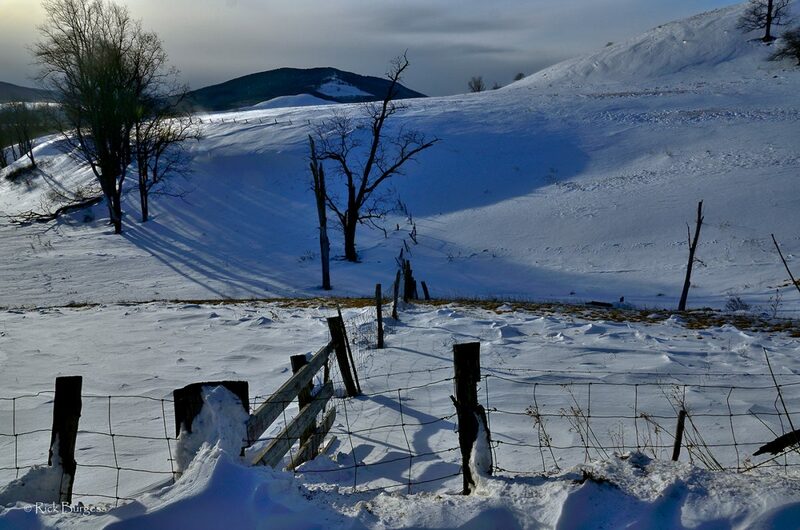 Winter visits the Alleghenies on the Highland Scenic Highway, often impassible through much of winter. 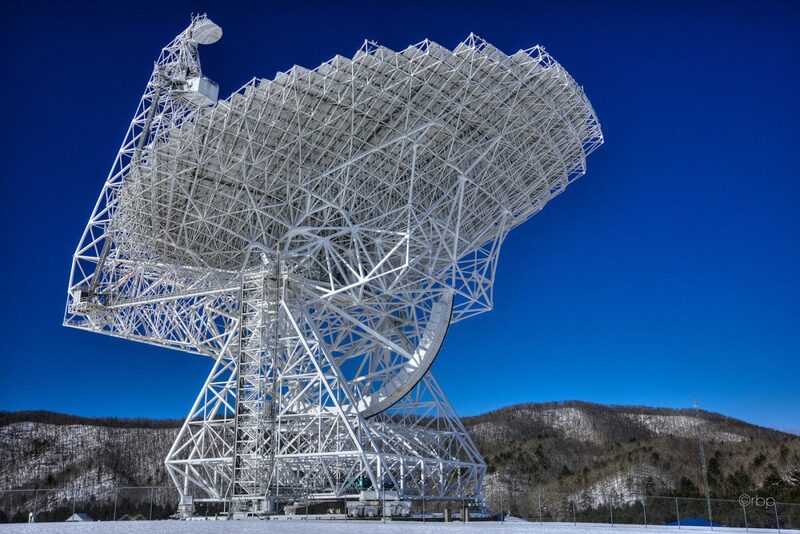 The world’s largest fully steerable radio telescope looks skyward at the National Radio Astronomy Observatory. Gandy Creek enters the mouth of the legendary Sinks-of-Gandy on a frigid morning in Randolph County. 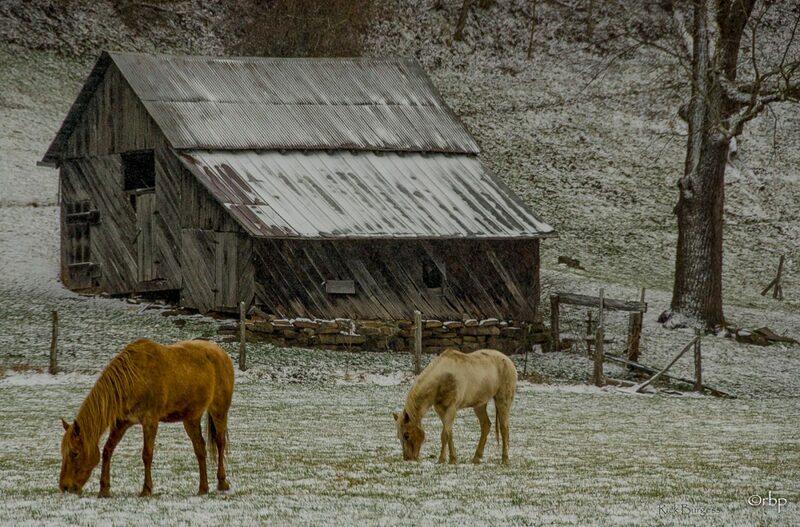 Horses graze in a snow-dusted pasture in Mercer County in southernmost West Virginia. 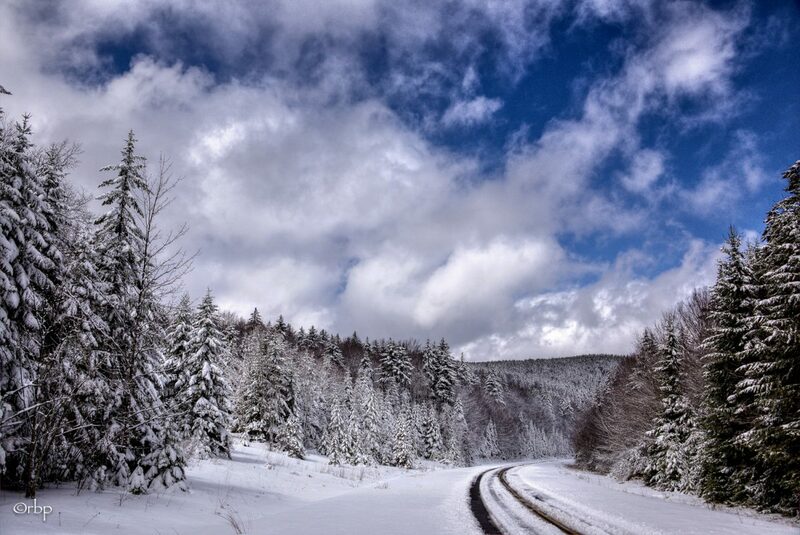 Spruce trees bend under the weight of snow on Black Mountain on the Highland Scenic Highway. 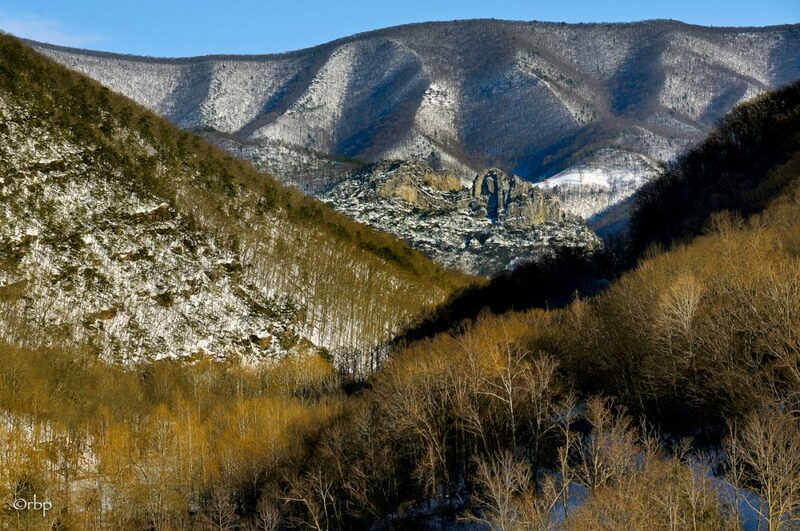 Seneca Rocks rises like a castle amid the snowy mountains above the North Fork of the South Branch. The New River wanders through its gorge beneath the Hawks Nest overlook at Hawks Nest State Park. 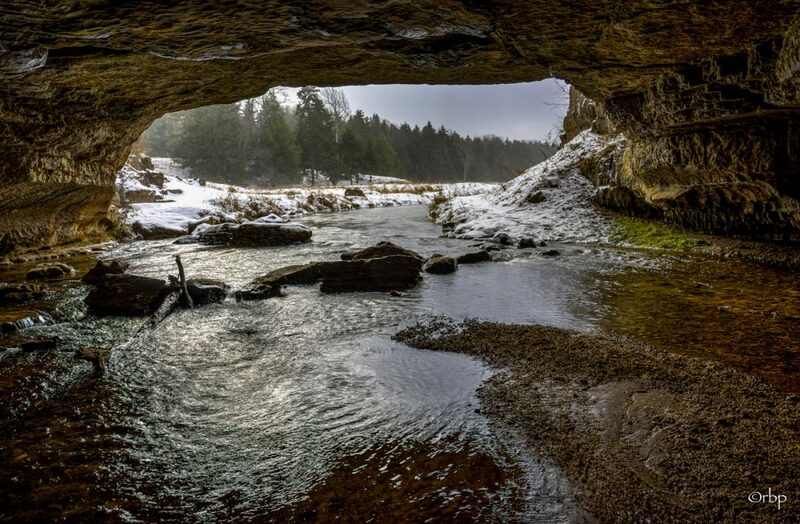 Be sure to watch visit Part 1 of our “Winter in West Virginia” series featuring Rick Burgess’s photography. Looking for Christmas gifts? You’ll find many of his works for sale here.